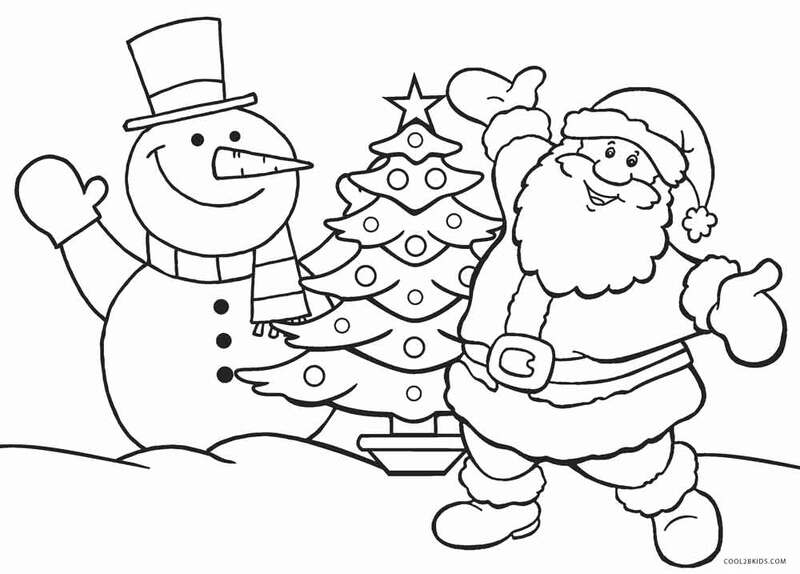 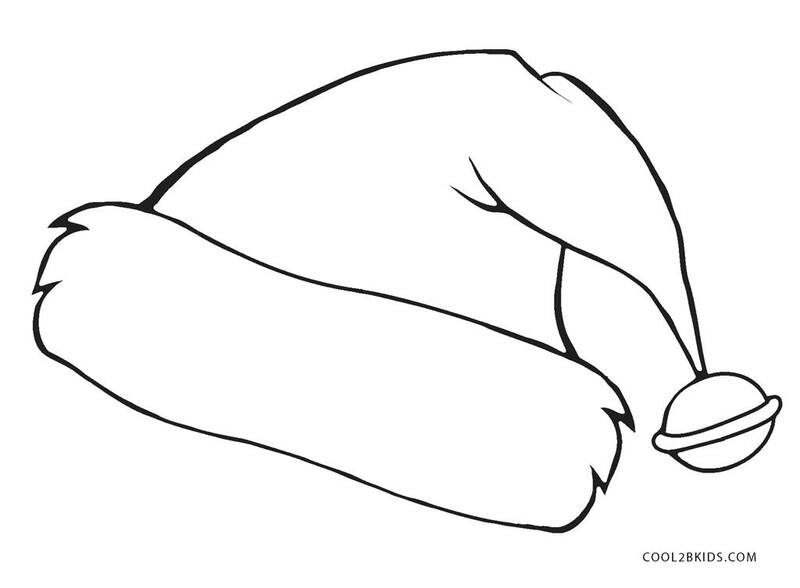 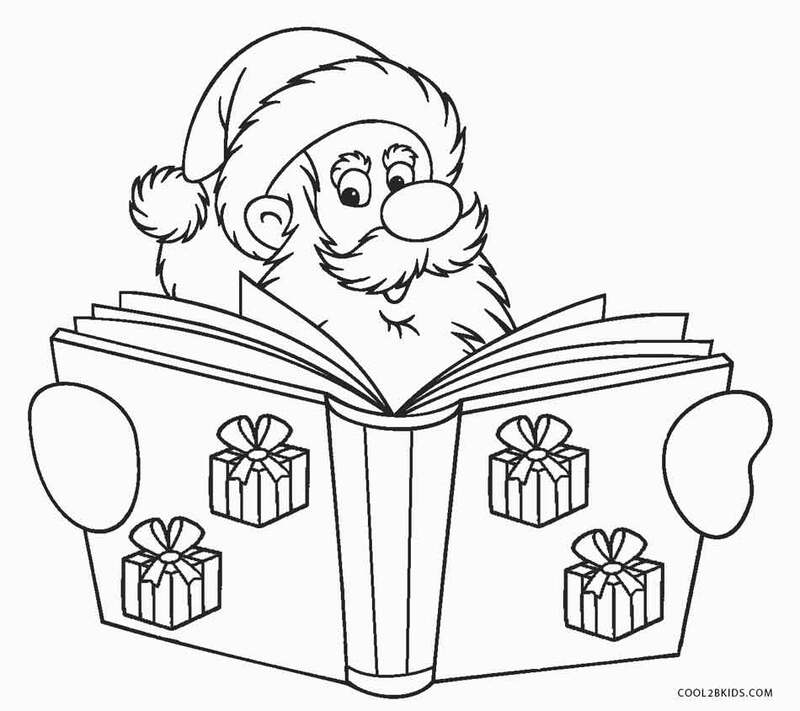 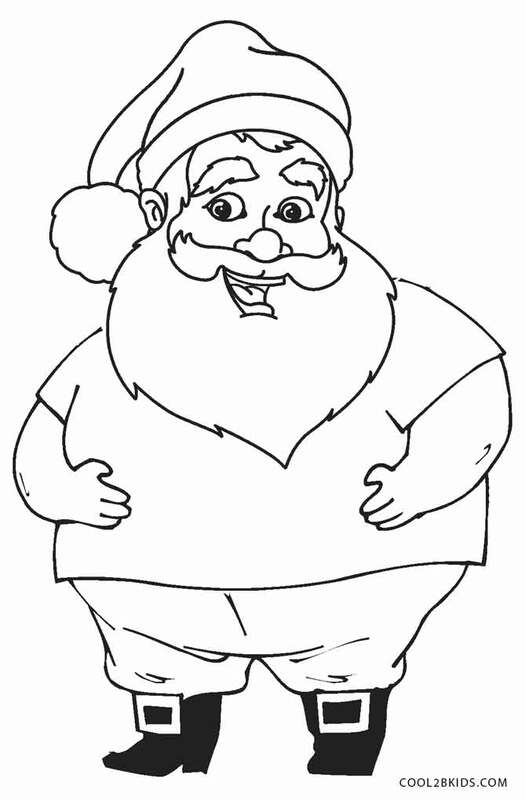 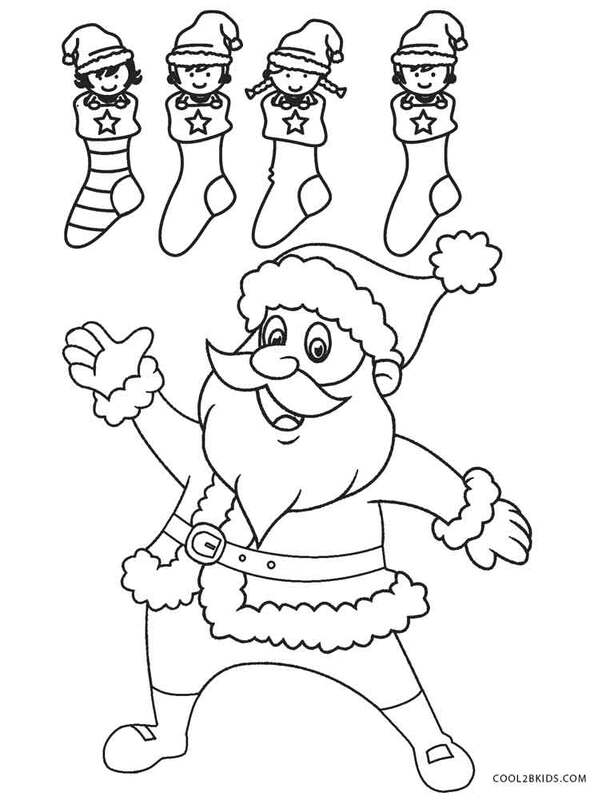 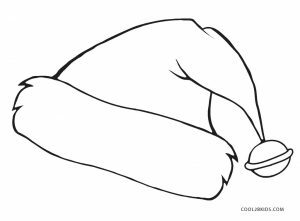 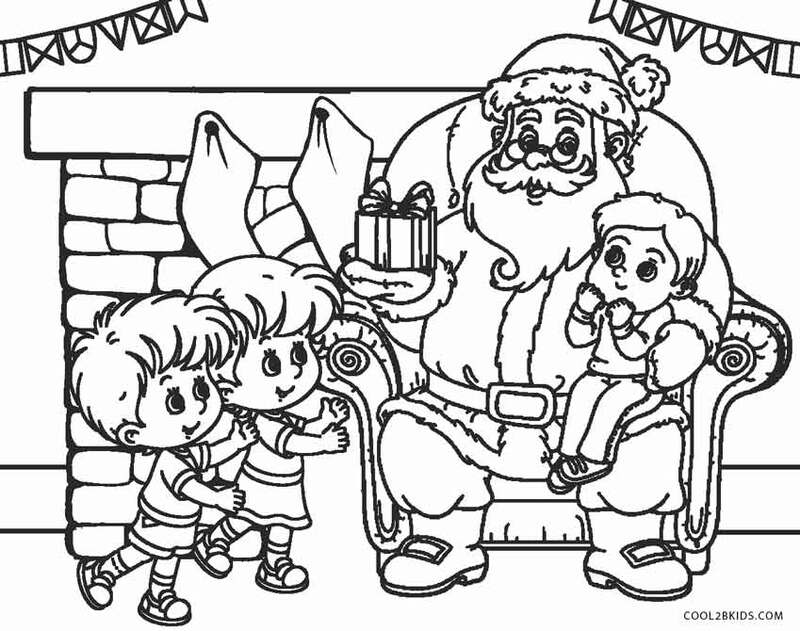 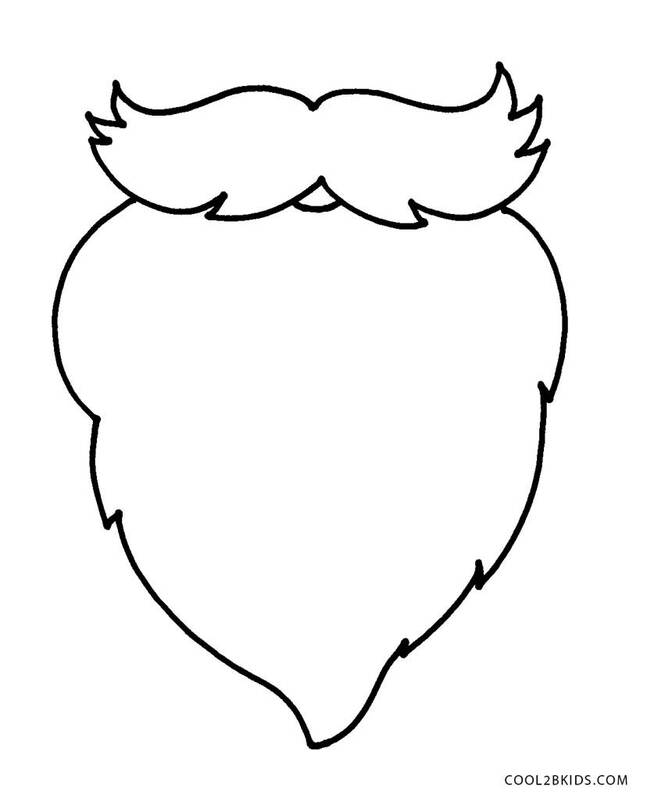 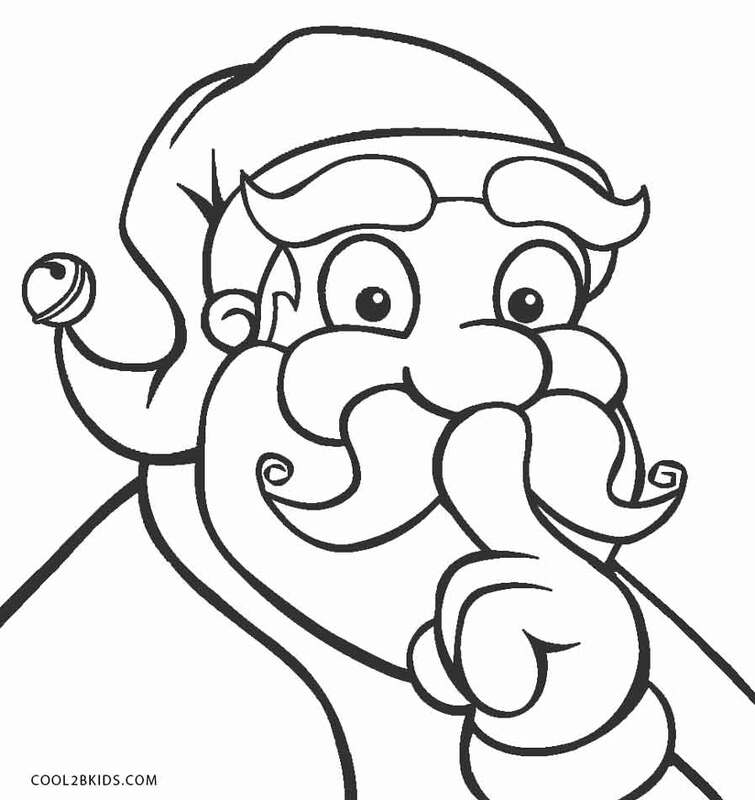 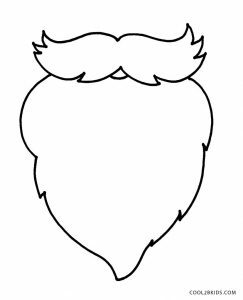 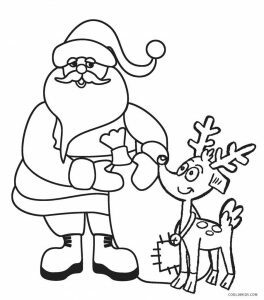 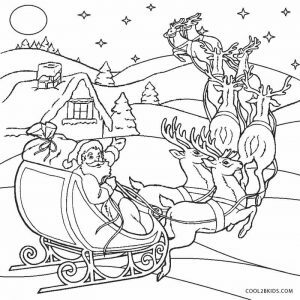 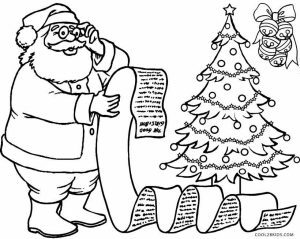 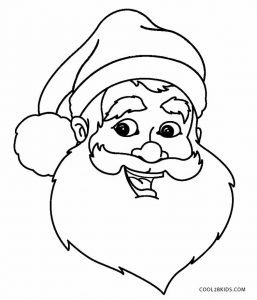 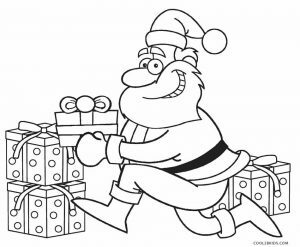 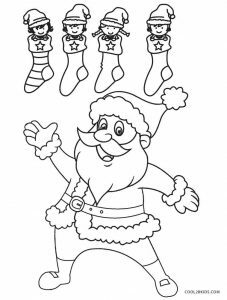 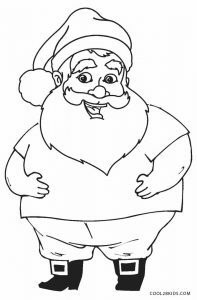 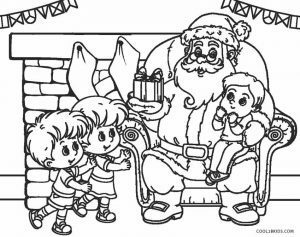 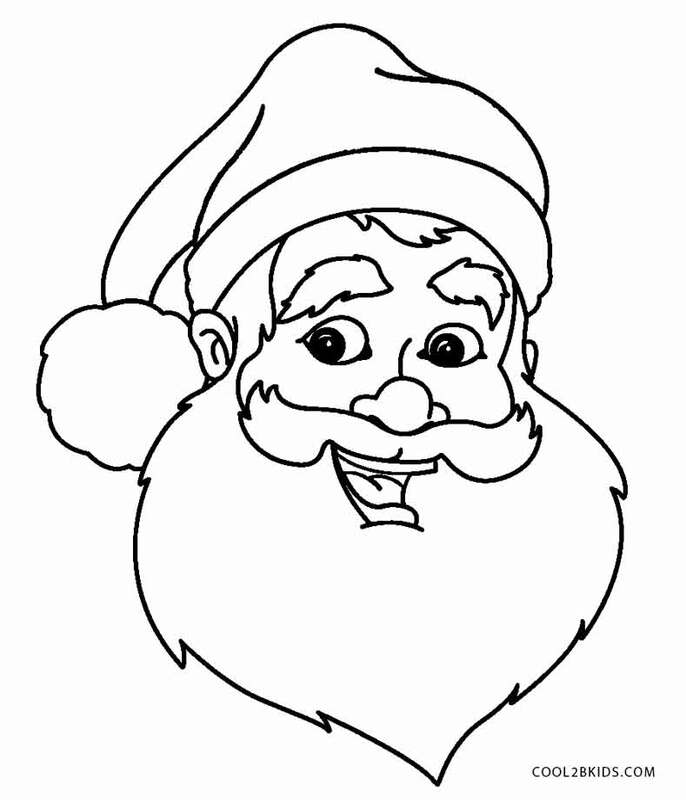 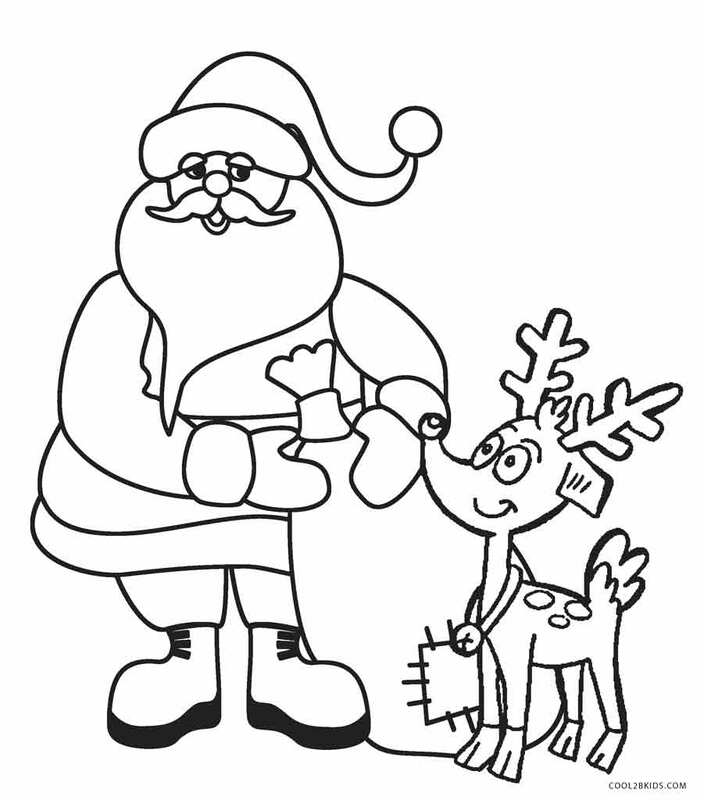 Revel in the Christmas spirit by putting color to these delightful coloring pages based on the Santa theme. 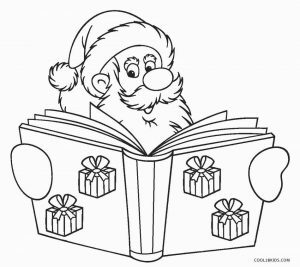 The free and unique pages boast of various patterns of sketches of the important character of Christmas. 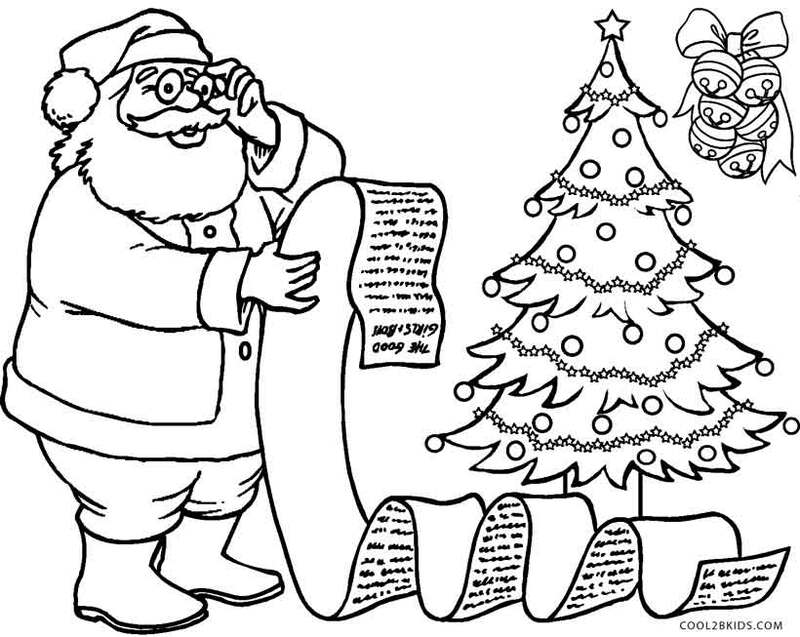 The bespectacled Santa is busy reading out a list of gifts that children want from him. 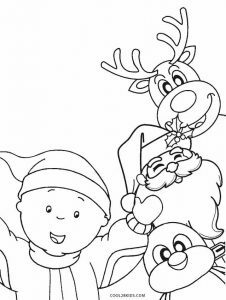 A smiling Santa is flanked by a reindeer, penguin and kid donning a Santa hat. 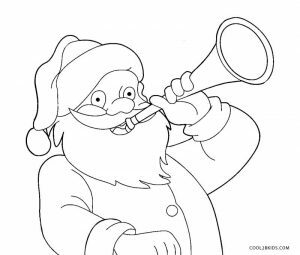 One of the printable pages having Santa blowing on a trumpet with air-filled puffy cheeks will leave children in splits. 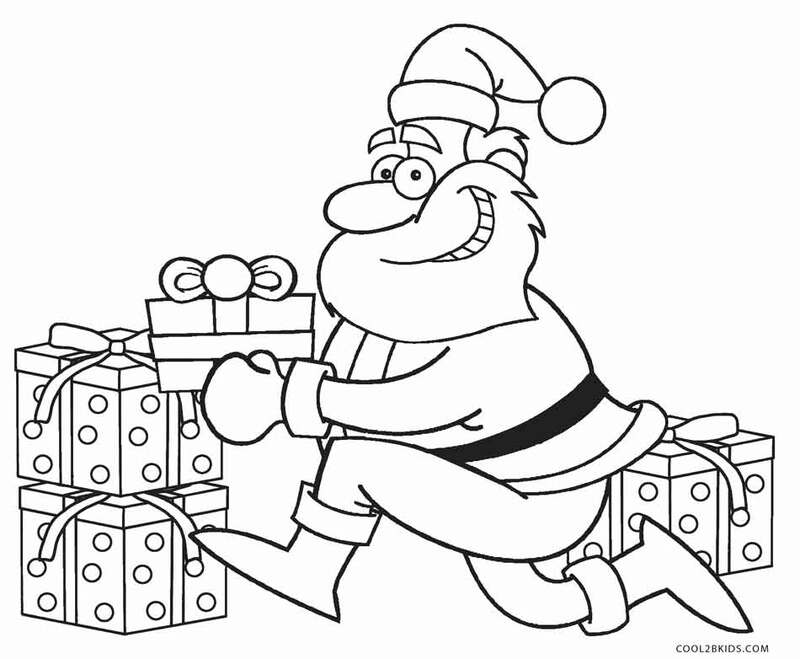 Santa running fast, gift in hand, looks like he too has a deadline to meet. 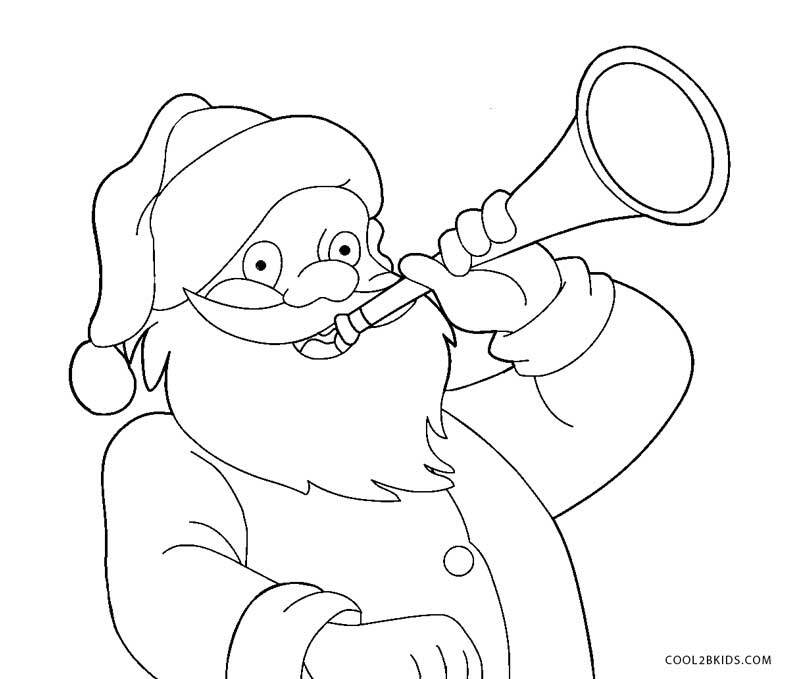 That is the midnight hour. 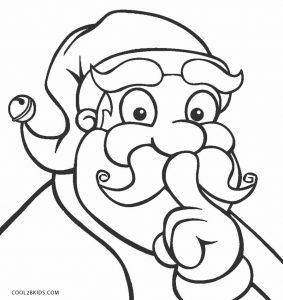 However, he is keen to keep his activities a secret as is evident from the sketch having him with a finger on his mouth. 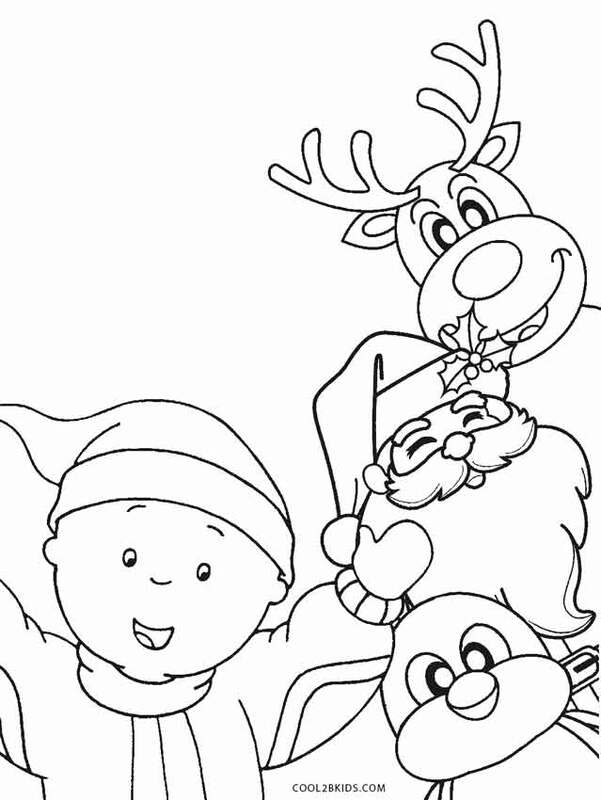 The beautifully decorated Christmas tree is in the background of most of the drawings. 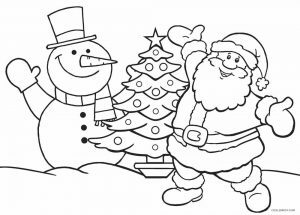 Add to that, a large snowman and we are in for serious fun this festive season.